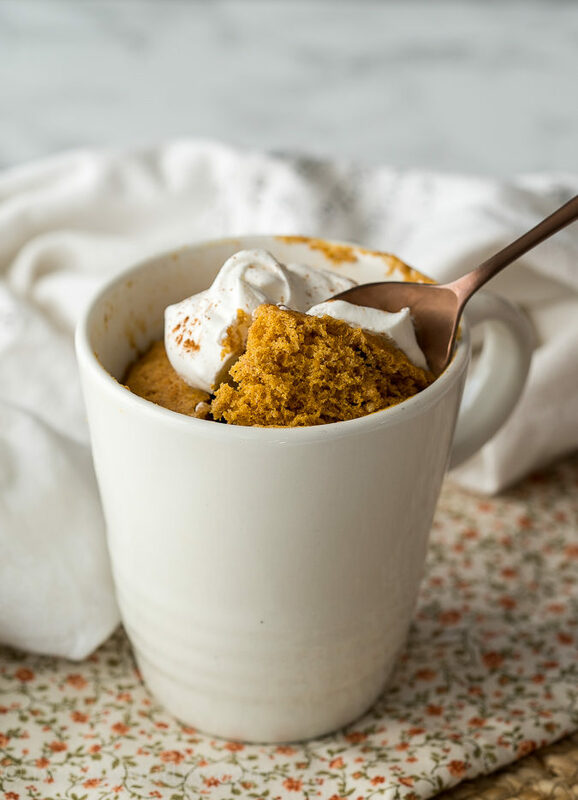 This Pumpkin Mug Cake Recipe is a super quick and easy way to get that pumpkin fix without tearing up your entire kitchen! Am I the only one who loves single serve desserts? 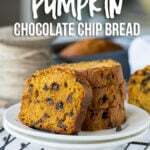 Sometimes when the craving for something sweet hits I’m just not in the mood to bake a whole loaf of Chocolate Chip Pumpkin Bread. 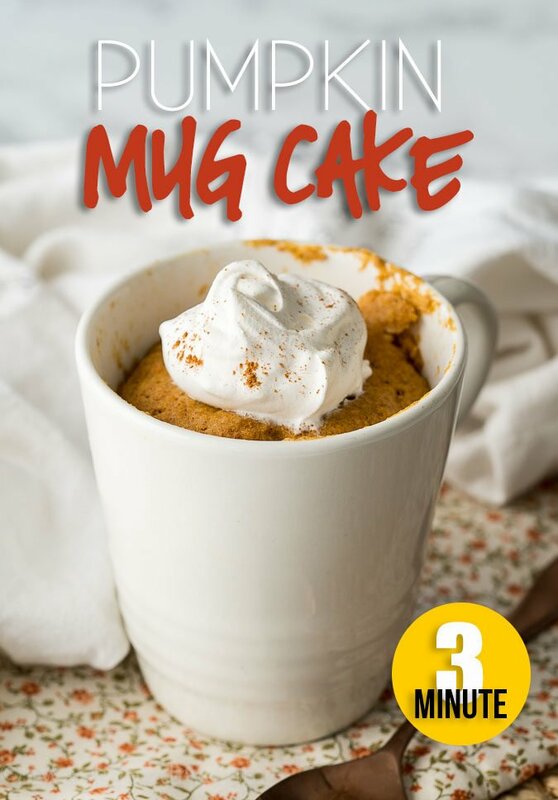 Plus that takes quite a while… so this 3 minute Pumpkin Mug Cake is perfect! I can not believe how fast this year flew by. 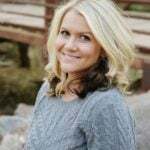 I’m already talking Christmas presents with my kids and planning out our holiday parties. I feel like when you get older, time just flies by. 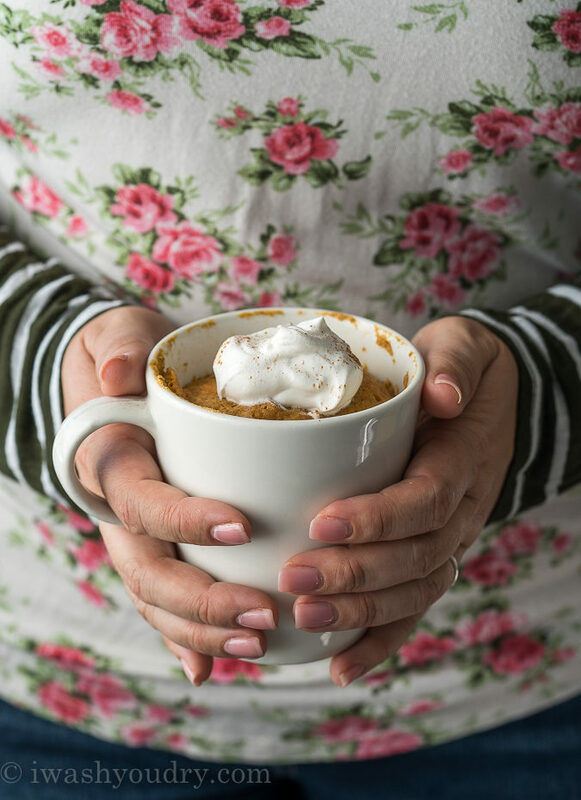 One of my favorite things to do to try and slow down time is to turn off my phone, whip up this pumpkin mug cake recipe, grab a blanket and go sit on my porch swing and watch the kids play outside. Since I live in the desert I can still sit outside in November. When I lived in Canada I would sit by the window and watch the kids freeze while playing in the snow. For this recipe I use some basic spices like cinnamon, nutmeg, clove and ginger. 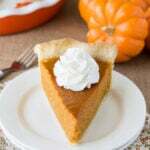 If you have a pumpkin pie spice blend, feel free to substitute all the spices with 1 tsp of the pumpkin pie spice blend. Add in 2 tbsp of semi-sweet chocolate chips for an even sweeter experience. 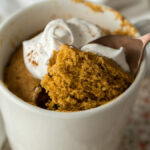 Top your mug cake with cool whip, whipped cream, ready whip, or even a scoop of vanilla ice cream! This cake is mixed right inside the mug it’s going to be “baked” in, making it a super easy and quick clean-up! When it’s microwaved the cake batter will rise up, nearly wanting to topple over, but once it’s pulled out of the microwave it settles back down into the cup. 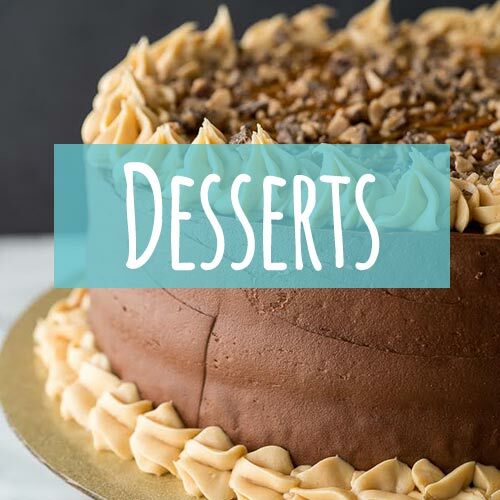 For a dessert that’s ready in just 3 minutes, you really can’t beat this one! 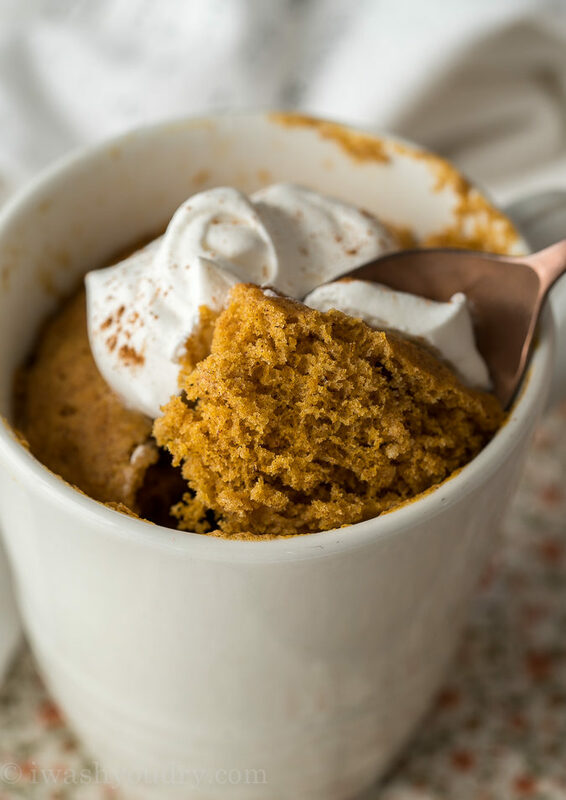 This delightful Pumpkin Mug Cake is ready in just 3 minutes! Mix all dry ingredients together in a 12 oz mug. Stir in the milk, pumpkin puree, and vanilla. Mix well, especially the bottom so there is no dry bits stuck at the bottom. 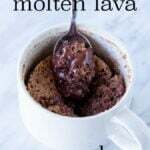 I love that this mug cake actually rises! It’s delicious and fluffy and rises to about twice the height! 10/10 WOULD recommend. Can you make these in a disposable microwave coffee cup instead of an actual mug? What does 1/4 clove constitute in the ground clove spice? Maybe the person who didn’t like it added 1/4 tsp. of ground clove instead of 1/4 clove. Is it just like a pinch of clove or what? Sounds like a minute amount or are my thoughts wrong and the recipe should have read 1/4 tsp. clove instead of 1/4 clove? Please advise. Thanks! I’ve updated the recipe to reflect the correct measurement of clove. Should be just a pinch of ground cloves. these are actually DISGUSTING! 10/10 do not recommend. the clover burns your mouth and is way to strong. you can’t taste any pumpkin!!! DO NOT TRY!!!!! Wow Jackie you are nasty. Why would you come on someone’s page and say that. It’s obvious it’s the way you made them. They are delicious. Sorry you didn’t like the flavor Jackie. I’m thinking you might have used too much of the cloves, which can be strong if you do. Best texture of any mug cake that I’ve had so far, usually they come out kind of chewy for me but this actually had a cake texture. Tasted awesome! Was a great way to help satisfy my pumpkin craving. (I used unsweetened cashew milk for the milk). Just made this and it was delicious! Thanks for the recipe. So glad you enjoyed the recipe Diana! 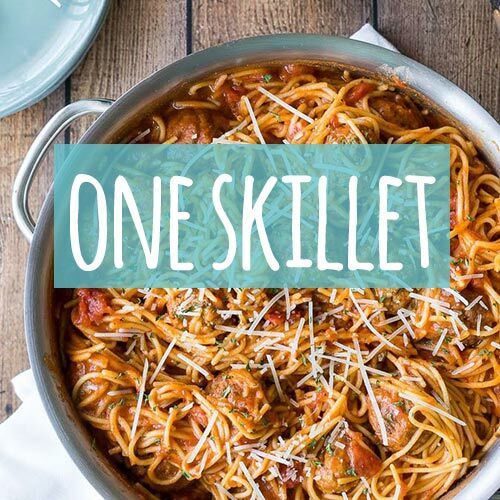 You can enter the recipe in a food tracking app, like myfitnesspal, and get the nutrition facts figured.